Catastrophic wildfires across Northern California, which hit the area on Oct. 8, have displaced upwards of 100,000 people, destroyed at least 8,400 structures and caused a reported 42 deaths. Since the fires began, Direct Relief has made 17 emergency deliveries, valued at more than $264,000, to the California Office of Emergency Services and Public Health, public health departments in three affected counties, and nonprofit community health centers and shelters. Items such as N-95 masks, inhalers, insulin, and other medications have been sent to support the response. For over a decade, Direct Relief has served as a member of the California Business and Utility Operations Center to mobilize private medical resources in emergencies with official response efforts. On Monday, Oct. 9, the center was activated in response to the devastating fires. 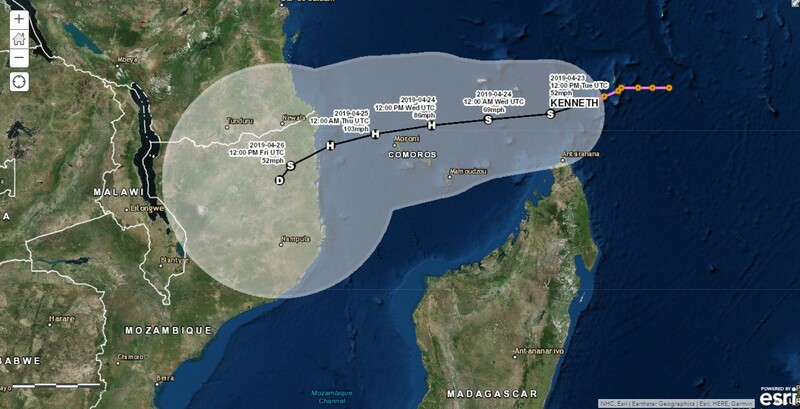 Direct Relief supports more than 40 healthcare partners in the affected area on an ongoing basis and has offered assistance to these sites in response to the fires. One of the clinics Direct Relief supports, Santa Rosa Community Health Center, lost their largest health center when the fires swept through on Oct. 9. The center served 24,000 patients each year with 180 employees on staff. 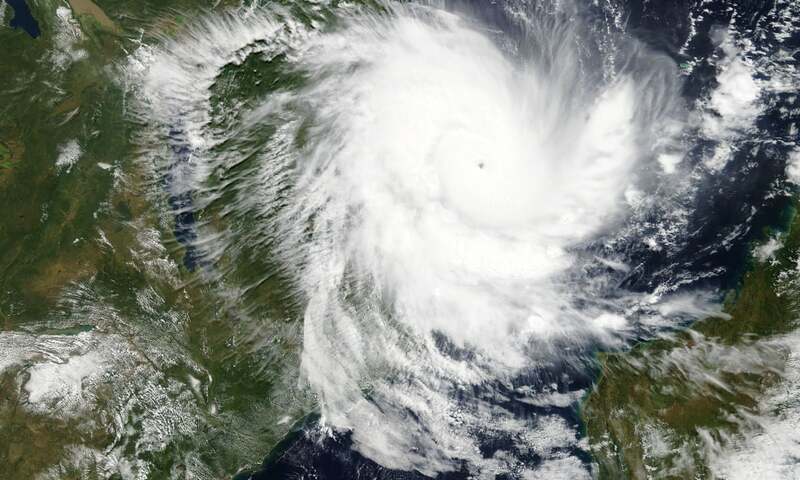 Fourteen of those staff members lost their homes. Shortly after the fires, Direct Relief delivered a shipment of N-95 masks and other emergency medical supplies to the clinic. 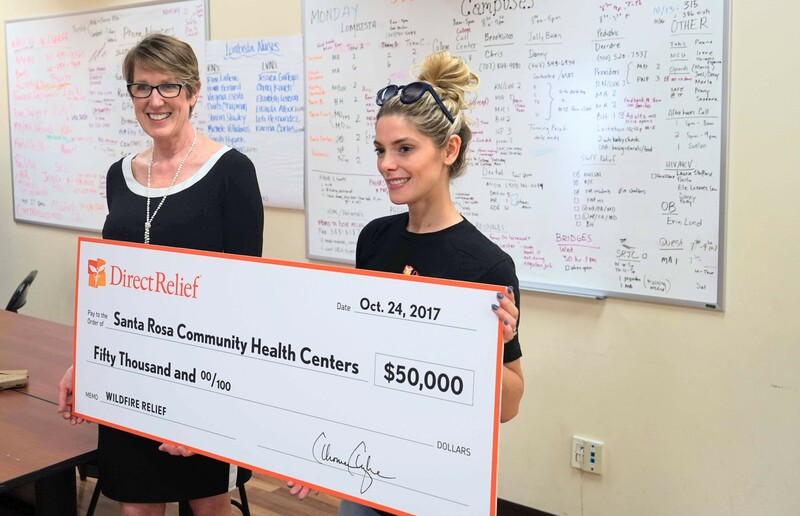 On Tuesday, Oct. 24, actress and humanitarian, Ashley Greene, partnered with Direct Relief to deliver a $50,000 check and additional emergency medical supplies to Santa Rosa Community Health Center. The 22-year-old organization is the largest federally qualified health center in Sonoma County, recognized for providing comprehensive primary medical, dental, and mental health care for 50,000 diverse and low-income patients. To support SRCHC’s wildfire response, Direct Relief sent a $50,000 check that was presented by Ashley Greene, who is garnering support and raising funds for fire relief efforts. Medicines and supplies were also delivered by Greene. The actress, best known for her role in the “Twilight” series, reached out to Direct Relief to support the wildfire response. During a Facebook live video, Fuchs shared more about the days and weeks following the loss of their largest health center, which displaced tens of thousands still in need of medical care. “We have opened all of our other health sites and turned every square inch we can into medical space,” said Fuchs. To ensure displaced patients continue to receive essential care, SRCHC has also relocated and redeployed hundreds of staff members. “The response has been really gratifying,” Fuchs added.